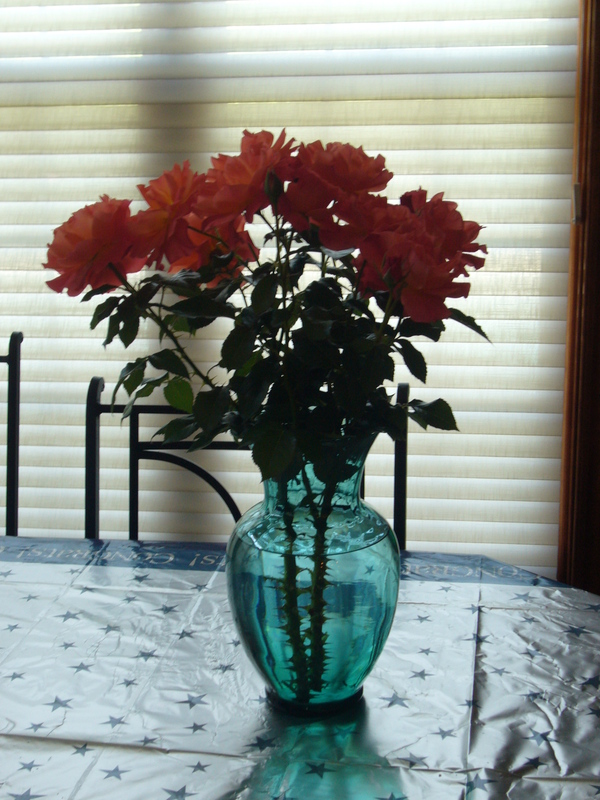 My livin’ easy roses – only two stems! 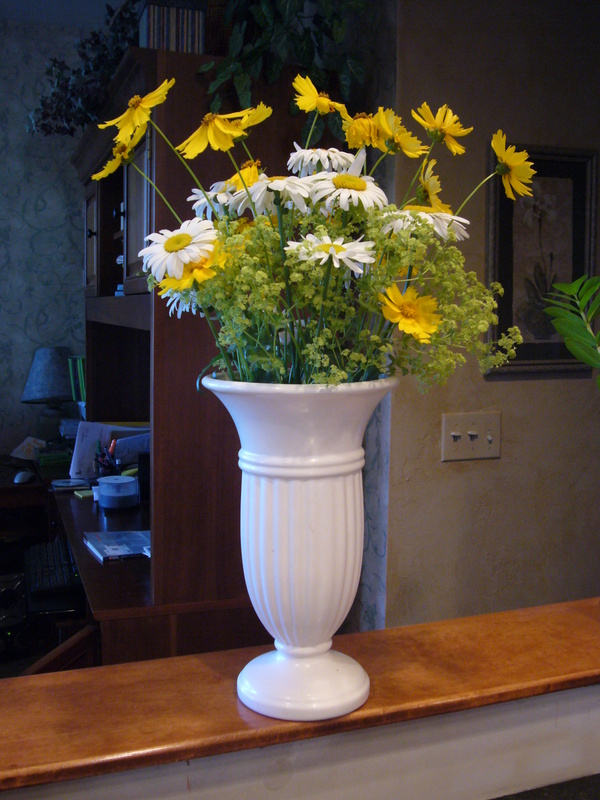 Shasta Daisies, Coreopsis and some lime green flowers from an unknown perennial. Dark red tiger lilies, lady ferns, and tahitian bridal veil. 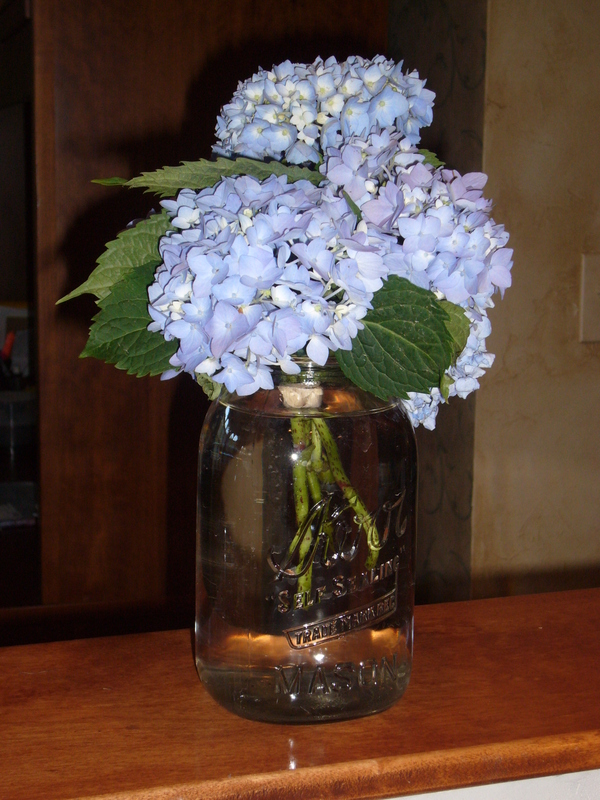 Blue Hydrangeas in a mason jar! 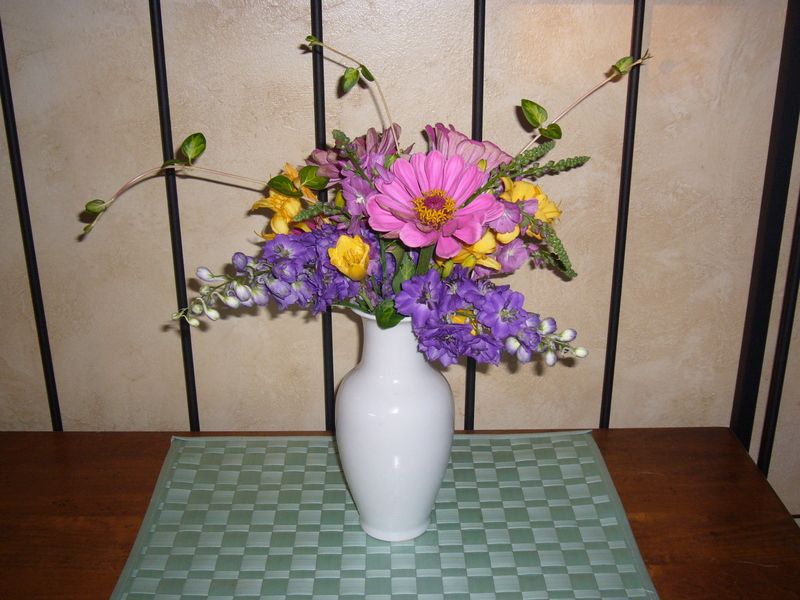 And my wacky asymmetrical but brightly colored bunch of pink zinnias, yellow Stella D’Oro, delphinium (dark knight? ), some pink flower I still can’t identify and part of the vines growing out of control in a planter (I love the red stem). This entry was posted in Carol and tagged flowers, summer. Bookmark the permalink.